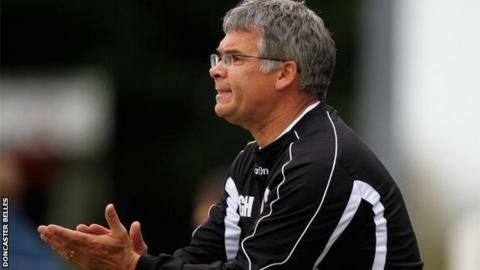 Doncaster Belles have appointed Glen Harris as their new head coach. after failing to lead the club into the top flight of the Women's Super League. Harris managed Lincoln Ladies for a total of seven years in two spells before leading the city's Centre of Excellence. "It's an honour to be a part of the Belles. I'm excited to be back involved in the FAWSL after a couple of years out", he said. In 2015, the top two in WSL2 will win promotion to the top flight. It is the third managerial change at Doncaster in little over a year, with Staniforth in November 2013. Prior to that, Buckley had been Belles manager for a decade, but left after the of its newly structured system.